Imelda Marcos owned 175 pieces of priceless art, million-dollar properties in Manhattan and was well-known for her shopping sprees across Europe. However, her shoe collection totaling more than 1,000 pairs was her pièce de résistance. Known as the Iron Butterfly, Marcos and her family ruled the Philippines with an iron fist from the mid 1960s until her exile in 1986. During that time, their unprecedented wealth earned them the world’s distaste, and her shoe collection became a symbol of an evil regime that used the people to enrich themselves. 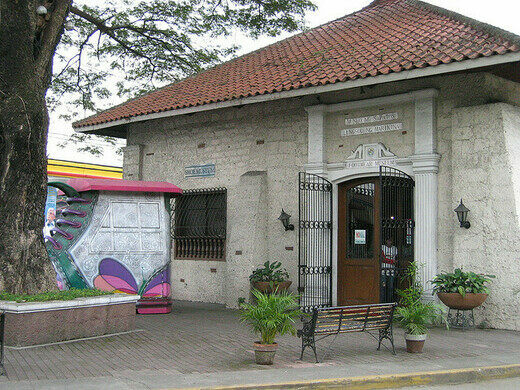 Today, a part of Marcos’ shoe collection can be seen at the Marikina Shoe Museum. Marikina is known as the shoe capitol of the Philippines, and fittingly holds Marcos’ collection as well as the Guinness Record for the World’s Largest Pair of Shoes. The vast majority of the collection held at the Shoe Museum, 749 pairs to be exact, was from Marcos’ personal wardrobe. Strangely, the museum has placed a portrait of her near her collection as well. Considering her legacy, a portrait commemorating and almost honoring her opulence seems bizarre.